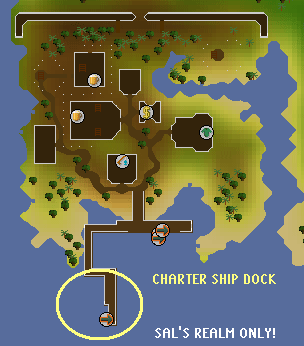 Charter ships are a way to sail across and travel Runescape. 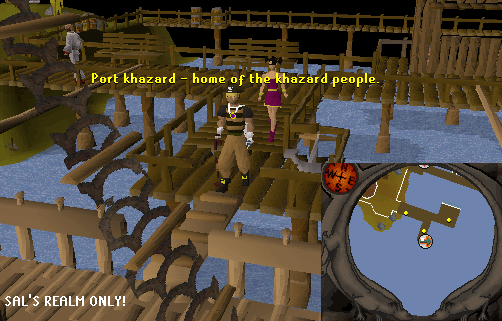 They were added to the game on August 22, 2006, and they are another very useful way to get around RuneScape. 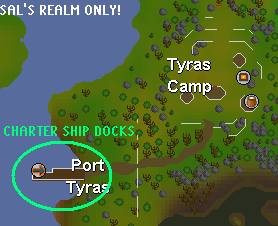 You can use ships to travel to different ports, such as Port Sarim, Port Phasmatys, Port Khazard, and even the new Port Tyras! Of course, there is a fee, but not to worry, the fee is not very much. The ships will sail you to all of the locations found on the map below. No special requirements are needed to use the ships. You simply need to find a dock with a Charter Ship, pay a fee, and off you go. 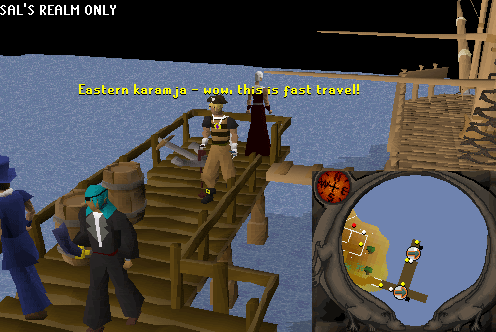 To get to some locations, there are certain quest requirements. When you select your destination, your current location will not be shown, for obvious reasons. Why would you want to pay to get taken to the place your at right now? Anyway, some ports are unavailable from other ports. 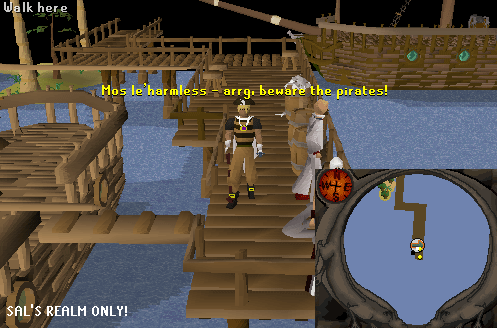 Example, you cannot sail from Port Phasmatys to Mos Le'Harmless. Why? 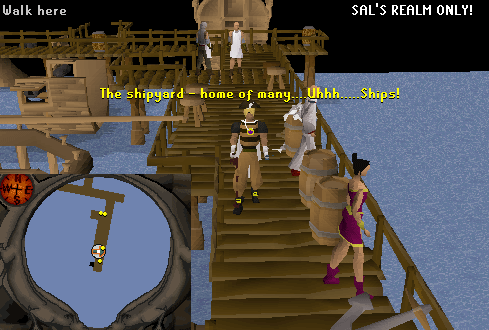 Well, Bill Teach has a ship close to the Port Phasmatys charter ship, and Bill will take you for free. 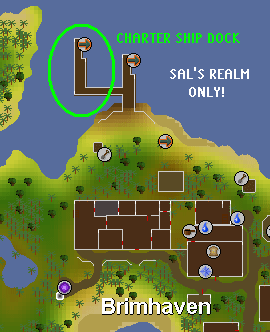 When you land at your destination, a message will appear in your chatbox to inform you of where you sailed. As stated before, there is a fee to use these ships. The fee is different for each dock. It could be cheaper at other docks. You can also lower the prices. 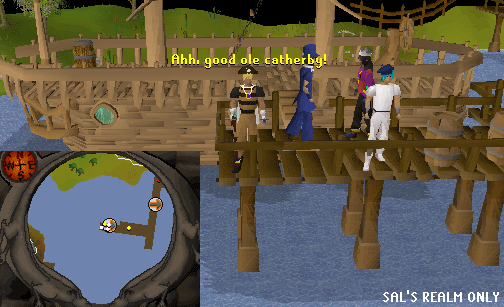 With completion of Cabin Fever, the people who run the ships will give you discount prices, since you have proven you know your way around the ship. The prices will all be halved. You could also use the Ring of Charos (activated), which will also lower the cost by a few more coins. If you use both the ring and have the quest complete, the costs will be a lot smaller. 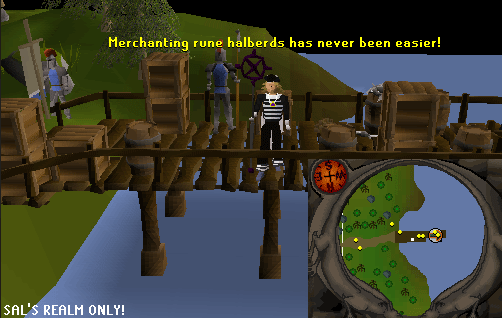 One more thing, you can only lower the cost of traveling to Mos Le'Harmless by the Ring of Charos (a) as Cabin Fever is required to sail to the pirate island. 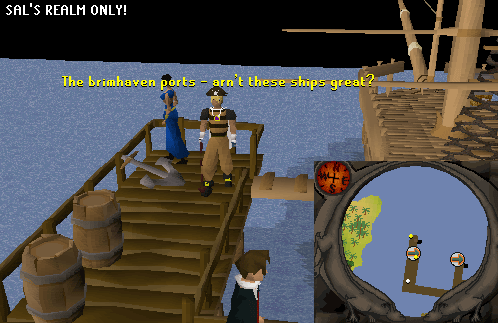 The Charter Ship is located north of Brimhaven, west of the boat that takes you to and from East Ardougne. 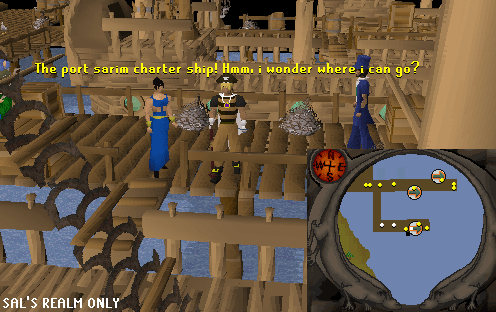 The Charter Ship is located south of the bank and south of the general store. 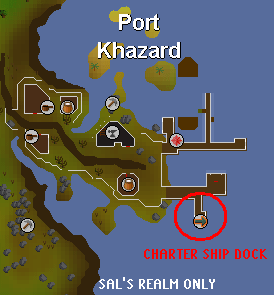 The Charter ship is located north of the dock that takes you to and from Port Sarim. In order to sail here, you need to complete Cabin Fever. 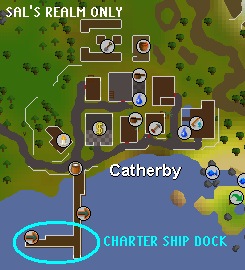 The Charter ship is located at the very south dock of the island. The Charter ship is located south of the Trawler Fishing Activity. 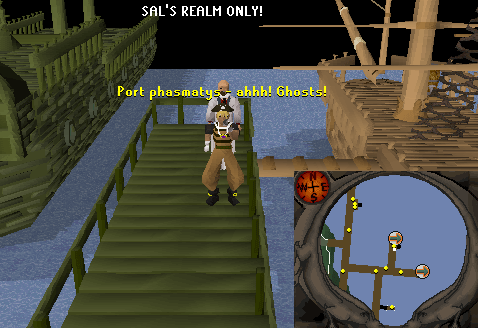 In order to sail here, you need to complete Ghost Ahoy!. The Charter ship is located north of the bank and northwest of Bill Teach's boat. It's important to note that while wearing Sheets or Slime-covered sheets, you cannot use this charter ship. 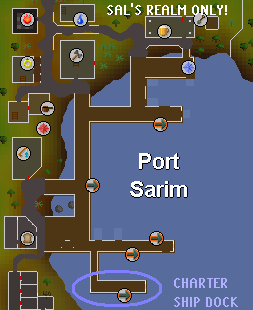 The Charter ship is at the very south end of Port Sarim, east of the jail. 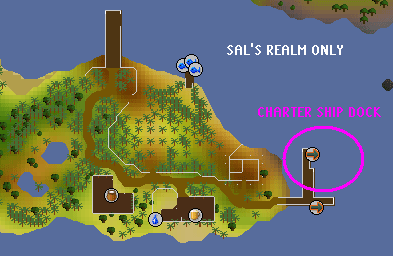 In order to sail here, you need to complete Regicide. 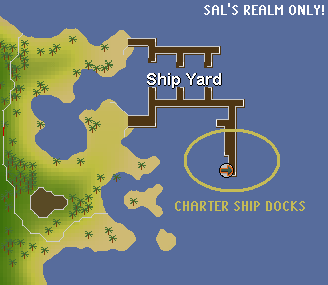 The Charter ship is southwest of Tyras Camp. 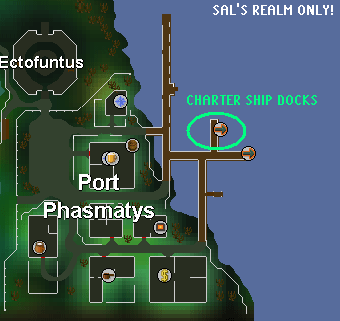 The Charter ship is at the southern half of the shipyard docks. That's about it. Enjoy the new travel. Don't forget cash and your evil Ring of Charos (a). Muahahaha!